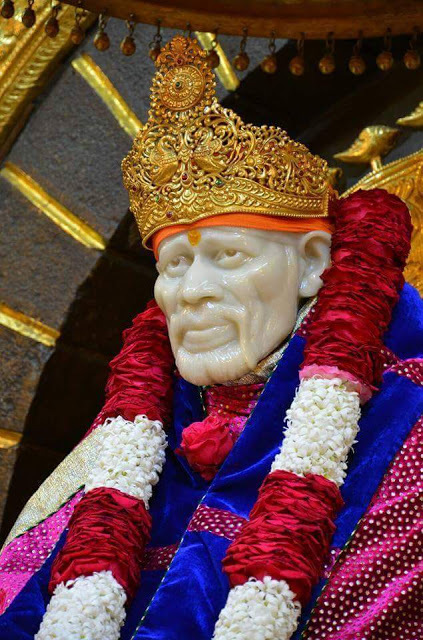 known by the names of Narasimha Zarna Cave temple and Jharani Narasimha Temple. Every year people flock to this temple in droves to get their wishes fulfilled. This sacred temple is located in a cave in Bidar. The Narasimha Jhira Cave Temple is known for its beautiful architecture and is considered to be very sacred. The temple in situated in a cave where the water runs up to 300 metres. This temple is situated under the Manichoola hill range and it opens at eight in the morning. Situated in Bidar in North Karnataka, this temple lies a kilometre away from Bidar city. 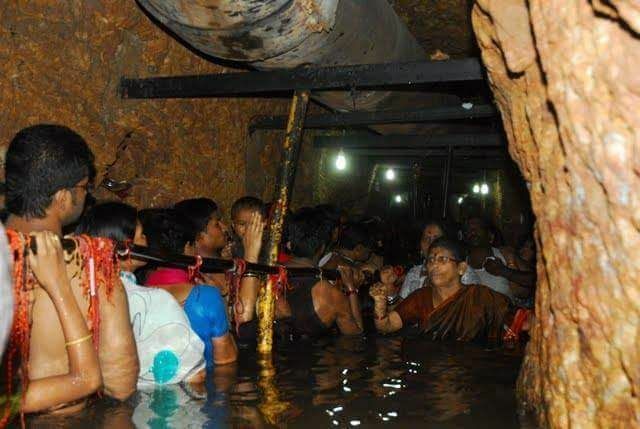 You have to wade through waist deep water to reach the feet of the deity. The temple of Narasimha Jhira has a myth which mentions that the mighty Lord Narasimha first killed Hiranyakashipu and then proceeded to slay the demon Jalasura who was a staunch devotee of Lord Shiva. 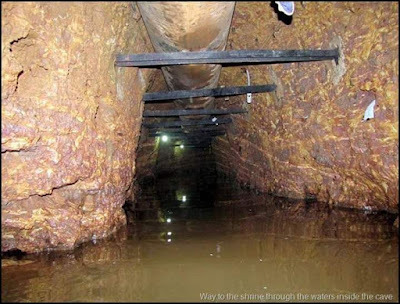 way through the water to reach the Lord. Recent arrangements were made to provide electricity and ventilation in this cave. 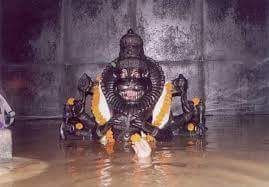 You’ll need to take a quick bath in the water fountain located outside the Narasimha Jhira Cave temple.